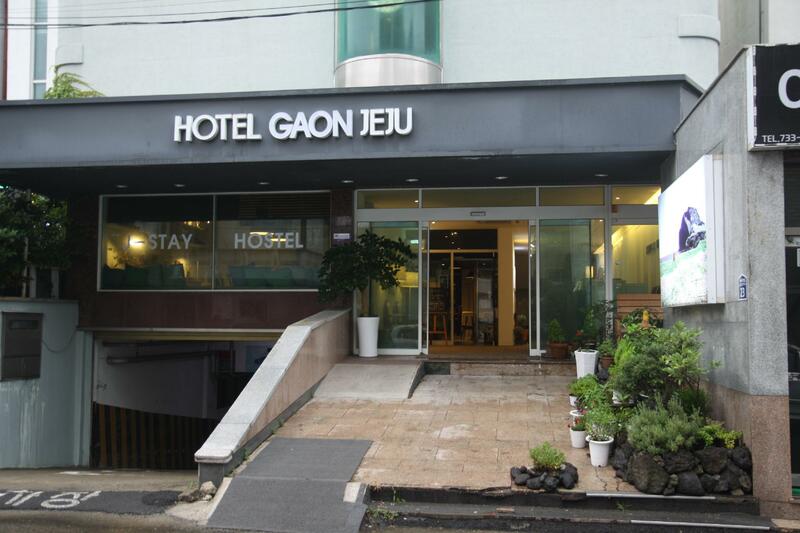 Ada pertanyaan untuk Hotel Gaon J Stay? Hotel Tong Jeju, terletak di Seogwipo, adalah pilihan yang populer bagi para wisatawan. Dari sini, para tamu dapat menikmati akses mudah ke semua hal yang dimiliki oleh kota yang aktif ini. Yang tidak ketinggalan adalah akses mudah dari properti ini ke sejumlah obyek wisata dan landmark kota ini seperti Pasar Seogwipo Maeil Olle, Galeri Lee Joong Seop, Seogwipo Medical Center. Di Hotel Tong Jeju, pelayanan istimewa dan fasilitasnya yang unggul akan membuat pengalaman menginap Anda tidak terlupakan. Sejumlah pilihan fasilitas kelas atas,seperti WiFi gratis di semua kamar, satpam 24 jam, layanan kebersihan harian, resepsionis 24 jam, check-in/check-out cepat dapat dinikmati di sini. Suasana Hotel Tong Jeju tercermin di setiap kamarnya. televisi layar datar, kopi instan gratis, teh gratis, cermin, sandal adalah beberapa contoh fasilitas yang dapat Anda nikmati. Properti memiliki berbagai pilihan fasilitas rekreasi yang memungkinkan Anda melakukan bermacam hal selama menginap. Ketika Anda mencari penginapan yang nyaman di Pulau Jeju, jadikanlah Hotel Tong Jeju rumah Anda ketika berlibur. I like this place, the host is very friendly and enthusiastic, around there are many eateries and near the bus station very convenient for sightseeing. I want to make a small comment about having more cabinets, because of carelessness I have lost all my money, ATM card, Visa card: (in the hotel's restroom. I do not know how I can get help from the Police, because I was confused at the time, but I generally like to travel here. The staff very helpful and friendly. The room was big and value for money. Near to Olle market. Easy to find food until midnight. I like the lounge setting with a pool table. Will stay here again for next visit. Staff are very friendly. points of interest are walkable from here. Amazing and cheap food are just around the next blocks. bathrooms, beds and rooms are clean. you can use their bar area to eat, drink free coffee, use hot water, play the pool table, read their books and just chill! I like this place a lot and totally would recommend it! Shoutout to the one in charge of reception while I stayed, Mr. Ha, you were very kind and helpful, Kamsa Hamnida! Excellent location in downtown Seogwipo near the market and several eating places. Very accommodating English-speaking staff. Comfortable bed and cool A/C (I stayed in a standard single room). And two common areas, one of which has a pool table! It's easy to explore Seogwipo and Jungmun from this area. You can also get to Hallasan easily by bus from here. They also rent bikes for free if you have a valid ID. The only cons: (1) they only have small towels (they gave me more than one, though), (2) pillows that were pretty hard for me, and (3) my room didn't have blackout curtains (you can tape maps to the windows though). I still slept well though. 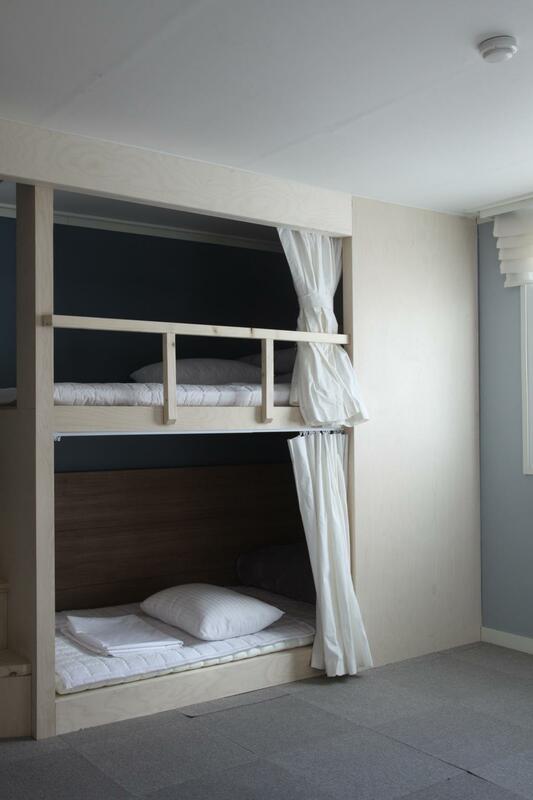 I highly recommend this hotel for everyone, whether solo travelers or families with young kids. Excellent value for money! It was a very nice place, first thing we noticed was the shared kitchen area in the lobby. it was very nice and clean and ate a meal there when we arrived waiting for our room. Our room was very clean, although a little small, it was clean but the air con was not the best. The hotel is located near Seogwipo Olle Market, restaurants and convenience store are all within walking distance. The hotel has a common area where the guests can make own meals. There is a also an underground car parking area but the parking lots are limited. We enjoyed our stay there and would recommend to others. the receptionist are very helpful with all the information I needed and they are very much willing to help don’t be shy to ask My daughters had fun at their free cafe area. Olle market is just 5-10mins depend on how fast are you and bus terminal is near... no coffee no toothbrush so bring your own small towel but it doesn’t matter. Hotel is very clean,easy to find anything because hotel near to shops..parking is provided...tv channel also variety,afterall it was a great stay.. The location was okay. easy to find using GPS. But have limited parking space. The facilities was good. The receptionist welcome us everytime we went out. He also help us with our snowchain due to heavy snow. easy to go many attraction as they are near to the hotel. Overall recommended! We booked a room with double bed, but we got TWO double beds instead. Stayed there for 2 nights - enjoyed it very much. Plenty of eateries and convenience stores around. The front desk staff were multi-lingual and very helpful in directing you to some great places. There is a pool table and bar near the lobby area but we were not affected by any noise at night. It was located near city centre. Near to many restaurants and convenience stores. Staffs are very helpful and polite. They guided us by giving us a map indicating those restaurant name and places of interest so that we have some direction where to find nice delicious local meal. Room is clean and spacious. The bed is very soft and we had a nice rest after a long day around Jeju island. All amenities are prepared such as shampoo, conditioner, body wash, towel, hair dryer. Their tv is also wide screen. Rooms were nice, staff were very friendly and helpful and spoke english well. They helped us to find bus routes and directions to the different places we wished to visit. There are two lounge areas, one with a nice kitchen and the other was like a pub setting with a pool table. Hotel was quiet at night, rooms seemed to be well soundproofed. Good location near airport bus bus stop as well as near jungang rotary and food alley (with lots of food options). Room is clean and comfy, beds were super single. Do note that housekeeping is only available upon request. Good service by the staff as well! They were friendly in providing directions and answeing queries. 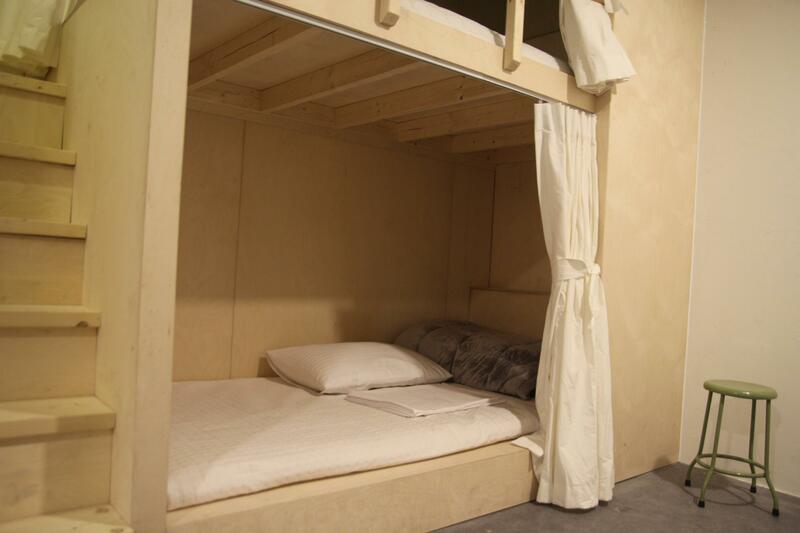 Recommended accomodation! Booked 2 rooms for 8 adults, the beds were big and comfy, air con and ondol heating were great. Room service missed our rooms but we only stayed 2 nights so it was ok. There's a game/social room downstairs which is free to use. We didn't have the time but will definitely utilise it the next time. Located 10 mins from the Jungang Ro bus terminal so it's super convenient.The staff were very friendly and helpful, would without a doubt recommend this hotel.